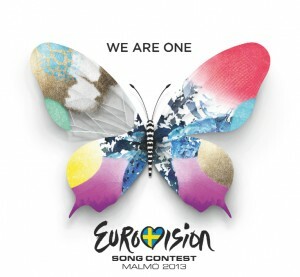 Time’s fast ticking away ’til the 2013 Eurovision Song Contest once again captures Europe’s attention. The contestants are locked in, SBS’ local broadcasts are ‘go’ and we’re continuing our countdown of this year’s competitors. In part 23 of our in-depth look at the 2013 entries, we’re headed off to Cyprus. 37 year old songstress Despina is no stranger to the public in her homeland, where she’s enjoyed a successful recording career over the past 13 years. But her reach is set to be significantly magnified as she takes to the stage in the first of the semi finals to represent Cyprus at Eurovision. She’ll be armed with the single ‘An Me Thimáse’ (‘If You Remember Me’ in English’, hoping to capture the hearts of Europe – at least enough to take her through to the May 18 Grand Final. It’s a pretty little ballad, complete with key change, a couple of money notes and a visually beautiful clip. But we’re not sure it’s spectacular enough to earn Cypriot hosting duties in 2014.